3 acre Single Vineyard planted in 1993 on an elevated north east ridge in Red Hill South. Deep red basalt volcanic soils. A cold site. Cropped at just over 0.8 tonnes per acre in 2014, the Hillcrest Road vineyard gives us perfectly formed Pinot noir fruit. The tight, small bunch structure, ripe fruit flavours and mature skin composition, in good years are ideal for traditional whole bunch winemaking. Grapes were harvested at around 12.5 Baume with perfect natural acidity, fermented in one lot 100% whole bunches (no de-stemming). 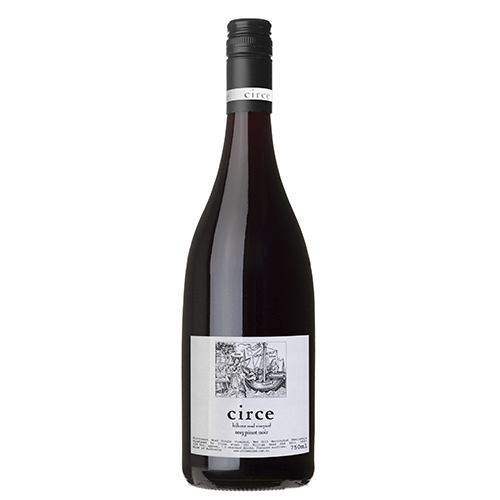 The Pinot noir was allowed to sit as whole bunches for 7 days prior to gentle foot stomping, with increasing stomping vigour over six days. After pressing the wine was transferred to small French barriques for mlf. The barrels were left untouched on full lees without racking for twelve months before bottling.